Biogas kits can save you constructing a plant from scratch and are generally researched and designed for your particular area ensuring you get optimal performance. Although we have used the term ‘kits’ for which are mainly domestic units, some of the systems below are medium to large scale. Don’t forget to checkout the School experiment kits, lessons and downloads which can be found on the School Biogas Kits page. BioBowser offers a range of packaged biogas plants and modules designed to be installed quickly and integrate with existing waste handling procedures. BioBowser® can treat between 50 kgs and 20,000 kgs (feed-in volume at max 8% Total Solids) of organic waste per day. 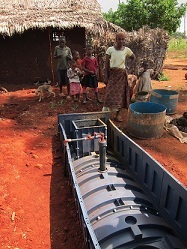 The household size digester is flat-packed and weighs about 70kgs. Flexi Biogas are based in Nairobi, Africa. 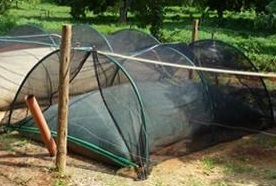 The Flexi Biogas system comprises a flexible reinforced PVC tarpaulin bag as a digester (component where anaerobic bacteria act on organic waste). It sits on the ground and uses plastic pipes for inputs and outputs. Plastic gas pipes tap the gas from the digester and transfer it to the point of use. The digester is covered by a greenhouse tunnel made of ordinary greenhouse material. The greenhouse tunnel keeps the temperature in the digester fairly constant at 38°C. The high temperature is conducive for anaerobic bacteria action on organic waste. The greenhouse keeps gas production at optimum levels throughout the year. 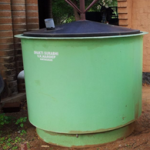 SimGas has a range of biogas digesters and appliances suitable for households to small enterprises and institutions like schools. 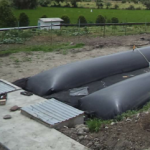 The biogas kits range from 2m³ upto 20m³ and can be installed in less than two days. With offices in Tanzania nd Kenya, all SimGas biogas kits are sold including a biogas stove, installation materials, user training, delivery & installation, after sales service, and a 2-year warranty. Puxin , or more fully Shenzhen Puxin Technology Co. Ltd is a large manufacturing company of all things biogas. It is quite famous for the PUXIN 6m3 family size biogas digester which is composed of a concrete tank built with a steel mould provided by PUXIN, a glass fibre reinforced plastic gas-holder and a concrete or glass fibre reinforced plastic cover. The company was founded in 2001 in Shenzhen City of China by a doctor in physics who obtained his PhD in Canada and went back to China. It has distinguished itself as a leader with its expertise and specialisation in the biogas field. It has its own research group with an expert team of doctors and engineers who are dedicated to researching new biogas plants and industrial development. 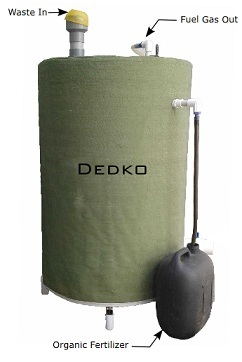 FENGHOU was created in 1989 and manufactures moulds for small and large scale biogas systems from 4m3 to 100m3. They also manufacture appliances such as; generators, biogas pumps, pressure gauges, flow meters, and desulfurisers. Additionally, the company produces a prefabricated mini food waste treatment made of fibre reinforced plastic and collapsible biogas diaphragms. The closest port is Shanghai and they export products to over twenty countries and have supplied biogas digesters to SNV Cambodia and United Nations in East Timor. 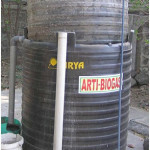 ARTI Household biogas kits are sold by Samuchit Enviro Tech in Pune, India. All the components of these household biogas kits are supplied except the digester and gas holder tanks (which can be purchased locally) as a kit. 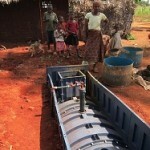 The kit also includes a single burner biogas stove, and an instructional video for constructing your own biogas plant. With some knowledge of plumbing and you can do the whole thing yourself! Hundreds of people across the world have constructed their own biogas plants from the instructional video and are happily using them. Arjun Energy Coporation operate from a base in Tamil Nadu, India. Established in 1994, the company manufactures and supplies a wide range of biogas kits to the domestic as well as the industrial sectors. 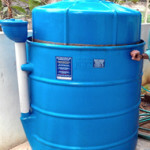 The picture shows a 1m3 capacity digester for domestic use in rural areas. The company is trialling a small portable ‘Air Pillow’ unit which uses poultry droppings as feedstock. 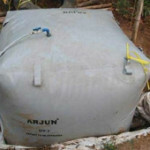 Arjun has installed hundreds of Bio Gas Holders for large sized Bio Gas Plants located in different parts of India. B-Sustain is located in Chennai, India designing and manufacturing domestic biogas plants starting from 0.5 m3 to 5 m3 biogas production per day. Biogas can be produced from raw material and organic waste like food, market vegetable waste, animal dung, poultry litter, municipal sewage, press mud, and baggase. The unit should be fed daily with solid organic wastes and must be mixed with water in a ratio of 1:1 before feeding into the biogas plant. Biotech have offices in Thiruvananthapuram, Kozhikkodu and Ernakulam. In these small domestic biogas units, kitchen waste material mixed with wastewater is fed into the plant through the inlet chamber at the top. The space required for a domestic plant (1 Cm3) is one square metre. Installation time suggested is about 1- 4 hours, depending upon the model of the plant and the location. The gas generated from the waste of a family of 3 -5 members is sufficient enough to work a single burner stove for more than 2 hrs everyday. The return on investment (ROI) of domestic biogas kits is quite good. A 1 Cm3 plant can save 70% – 90% on the consumption of fire wood or other cooking fuels each day. Within 2 years the entire investment can be recouped by the production of cooking (gobar) gas and liquid fertilizer. 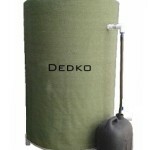 Flycatcher Technologies supplies the Dedko Digester and offers the unit in Mumbai and Vadodara, India. 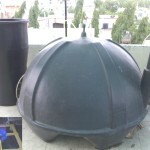 The digester can be installed on an apartment balcony and is completely sealed, so no smell! cThe unit is 3.5 feet tall with a diameter of 2.25 feet. 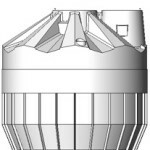 A storage balloon for gas produced hangs from a wall or can be ceiling mounted and is 5′ x 3.5′. This biogas kit handles 2kg of ktichen waste that requires pulping prior to feeding the digester. 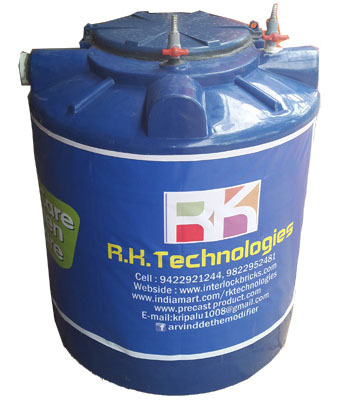 RH Technologies, a company located in Akola, Maharashtra claim the Domestic Bio Waste Treatment Plant can treat all bio waste including waste water in households. Like most biogas plants they also produce slurry along with Biogas which can be used as a liquid fertilizer on gardens. The space required for this plant is minimal and it can be installed on a roof-top or anywhere near the house. Sintex Industries are an located in Gujarat, India. Sintex Biogas Plants are portable and ready-to-use plants moulded in tough polyethylene material confirming to the requirement of IS 10146 – 1982. They are non toxic, free from any contamination, chemical resistant, blended with stabilizers, non corrosive and non acidic. The smooth and sanitary, chemical resistant,containers are designed especially for Semi Urban and Rural areas to produce Gas from organic waste (Kitchen Waste/Garden Waste / Cow/Buffalo Dung). Vivesty Green is a designer, manufacturer, supplier and installer of renewable energy systems and a environmental solutions. Located in West Nadakkavu, Calicut the company specializes in portable plug n play type anaerobic digester systems for biogas production from organic solid wastes. Vijaya Industries was founded in 1972 and is located in Katapady, Udupi District in Karnataka State, India. 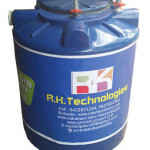 The company has a range of gobar units or biogas kits at various scales. Huamei International Green Energy Holding has headquarters in Hong Kong although arguably they are a Chinese company. They manufacture and provide biogas kits from small scale domestic units through to design of large scale industrial installations. 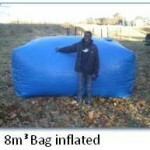 These ‘foldable’ biogas kits range from a household size of 6m3 through to 100m3. This design innovation means compact biogas units can be installed in remote locations where transport of materials is problematic, for example mountainous regions. 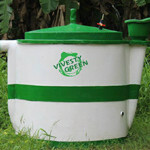 The company also has a range of biogas appliances such as rice cookers, stoves, and water heaters. Biomass Power Plants (PLTBM) are provided by PT. Cipta Visi Sinar Kencana who have many store outlest across Indonesia, Timor, Malayasia and Vietnam. The company has a range of digestor sizes from 3,000L through to 7,000L and can supply systems that include electrical gensets. For instance the 5,000L package comes with the digester, one purifying biogas (methane purifier) MP 12 135 ( PVC) , a gas holder with a capacity of 5 m3, one generator BG 2500 w (biogas power generators 2500 watts) , bacterial methane activators GP-7 for 1 month, installation of equipment, and stoves. Cost for this is Rp.44.950.000 or around US$3,700.00. The Indonesia Domestic Biogas Programme,known as BIRU, is a 4 year program managed and implemented by Hivos (Humanist Institute for Co-operation with Developing Countries) with Technical Assistance from SNV (Netherlands Development Organization) which is responsible for effective knowledge exchange and transfer during the implementation of the program. Through the Indonesian Domestic Biogas Programme, the Government of the Netherlands allocated 656,535 EUR to enable the establishment of a market-oriented, feasible and self-reliant biogas sector. Up until 6 December 2013 there have been 10,633 units built and commissioned across Indonesia. 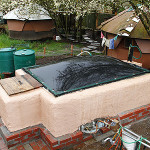 HomeBiogas is new class of Anaerobic Digester, delivering flat packed biogas kits to support off-the-grid lifestyles. 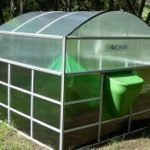 It utilises both food waste and animal manure, producing enough cooking gas on a daily basis for 3 meals and 10 liters of clean organic liquid fertilizer. 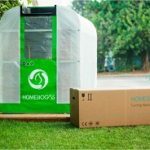 HomeBioGas TG is as an outdoors unit exposed to weather. The unit functions well in warm and hot climates where the average day/night temperature is more than 15°C. BITECO specializes in the turn-key construction of modern biogas complexes, converting the energy of organic material in electrical and thermal energy.The engineering team has been working in the biogas industry for over 6 years and has successfully installed many projects in the CIS countries, Europe and Asia. Sytems are available for livestock and breeding complexes, poultry, ethanol plants, sugar mills and speciality grown energy crops. 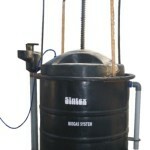 Sistema Biobolsa is a social business comprised of an experienced biogas team located in Latin America. 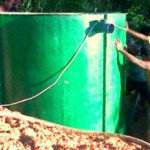 They make a patented continuous flow, tubular, prefabricated, modular, flexible and high quality biodigester specifically designed for small and medium-sized farms, slaughterhouses, and community centers. More than 2,200 biodigesters have been installed in Mexico and Latin America. 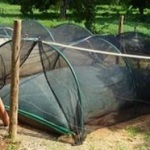 The Ecofys plastic bag digester is prefabricated and specifically designed for farmer households. The robust system is low-cost, easy to install, and easy to transport into remote areas, while yielding sufficient gas for both cooking and lighting needs. Thirty kilograms of manure is sufficient for typical daily cooking and lighting needs of a family and replaces on average 5 kg wood daily, which represents about 2 hours of collecting wood daily by women and children. BiogasSA is located in Johannesbury, South Africa. BiogasSA specializes in the design and installation of various types of biogas kits for both the domestic as well as the commercial market. They also stock a range of biogas appliances, generators and various fittings. 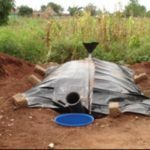 BiogasSA recently added the DIY Biobag Digester and is one of the more affordable biogas kits at a cost of R9 500 for a 8m³ unit. 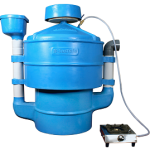 AGAMA BiogasPro digesters are prefabricated waste-to-energy solutions. The BiogasPro are patented biogas kits that are engineered, designed and manufactured in South Africa for African conditions. The AGAMA BiogasPro is also the first small digester to achieve certification by the South African Pipeline Gas Association (SAPGA). The AGAMA BiogasPro-6 is an award winning digester and is buried in the ground like a septic tank. 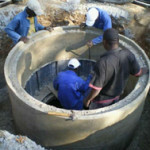 It is best suited to rural applications often replacing septic tanks, and in formal sewer environments where the application is below-ground with the inlet sewer depth of 330 mm.